America hasn’t sent a spacecraft designed to carry humans this far into space since the Apollo programme ended in 1972. In that sense, today’s small step – the first orbital test of the Orion probe – is a giant leap for the US human space flight program: it marks a return to US astronauts voyaging independently in space. And the ambition for Orion, as laid out in a speech by President Obama in 2010, is great. The programme intends to carry astronauts to land on an asteroid, next to orbit Mars, and then ultimately land on it. But in another sense, Orion is a little more prosaic. Since it cancelled the space shuttle programme in 2011, the US has had no vehicle to ferry astronauts into orbit. To continue its participation in the International Space Station, it relies on the Russians and their Soyuz system. While the US continues working on exiting new space plane technology, Orion is conceptually the same as the tin cans that carried the first men into orbit more than 50 years ago. 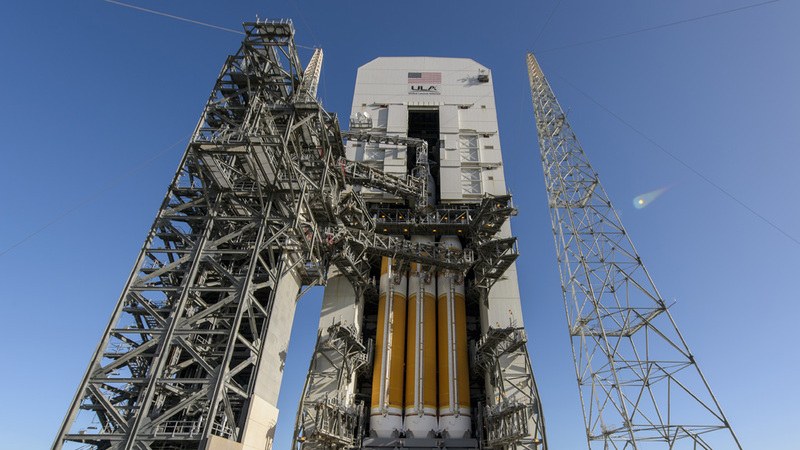 Today’s test will look at key stages in a successful launch: separation from the different Delta IV rocket stages and, crucially, how the capsule’s heat shields and parachutes work to return a future crew safely to earth. Apart from salivating over Americanism the article offers surprisingly little science. I do hope this doesn’t presage the kind of laughable Yankified propaganda ticker-tape hysteria that disfigured previous scientific achievement. Advances in space exploration are a universal HUMAN achievement that has nothing to do with nationalist nonsense. Not that that will get through to the sort of political idiot who needs a tin flag lapel badge to makes some sort of statement. Meanwhile, the USA spends more on cosmetics than it does on space. Which tells you all you need to know.